It’s important in this life to do your best and let go of the results. There are many challenges in both stages of the process. Doing your best can be challenging because there are often expectations that we are somebody else. It’s important to remember that when you’re giving your best, it’s YOUR best, not someone else’s. There is often confusion about what we bring to the table, and frequently that confusion comes from within us. Begin to understand your strengths and operate from within them. When operating from within your strengths you benefit everyone around you. It can be difficult to manage expectations on two levels. First, the people around you can often expect you to be exactly like themselves or someone else they are thinking of. It is very rare in life to find someone that expects you to be you. Secondly, you have spent so much of your life with people expecting you to be someone else, that often you expect you to be someone else. I know this sounds odd, but think about it for a few moments. 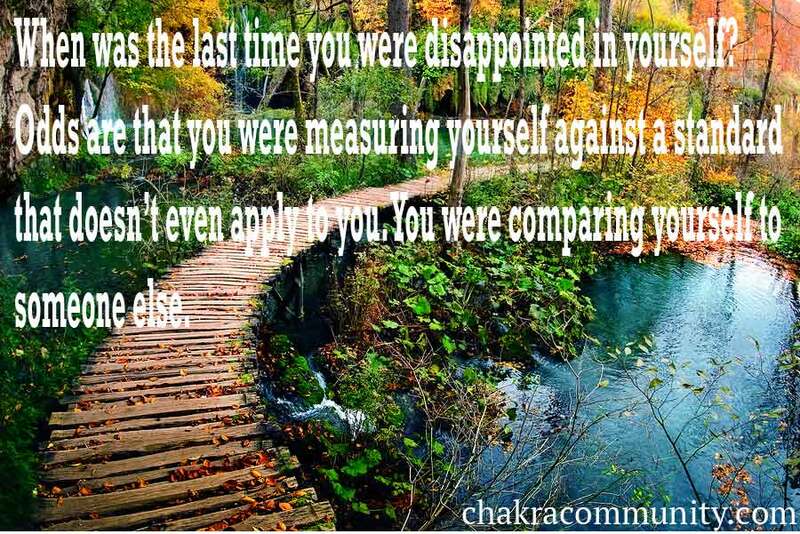 When was the last time you were disappointed in yourself? Odds are that you were measuring yourself against a standard that may not even apply to you. To find your true self and maintain that truth throughout your life is one of the greatest gifts you can give yourself. And by direct correlation you become a blessing and a gift to the world. People being true to themselves and authentic change the world. People trying to be someone else, simply blend into the crowd. The next step is letting go of the results. Please bare in mind this does not mean apathy. This does not mean you no longer care about the outcome. This means you trust that you have done your best and that the ultimate outcome is beyond your control. Allow for success and allow for failure, but be secure in the fact that you have offered the world the most authentic you, that you have to offer. Lastly, allow for this to evolve. As you learn more about your true self, the authentic you, your authentic offerings will likewise change and evolve. This does not mean you are changing yourself, you are discovering yourself. This does not mean you were false or wasteful with previous offerings, it simply means that you were in process. I believe that is the point of our life here. We should embrace the process discovery but let go of the expectations and timeline for results. Allow for you to become aware of you at a rate that is appropriate for you.